CYNTOS - Producent stopów na bazie cyny, ołowiu i miedzi i srebra. | Producent stopów na bazie cyny, ołowiu i miedzi : stopy łożykowe Ł83, Ł89L, Ł10As, stopy ołowiowo - antymonowe, pręty odlewane LC10, LC20, LC30, LC40, LC50, LC60, LC70, LC80 LC90, spoiwa bezołowiowe Pb Free Cu1 oraz Cu3, spoiwo do cynowania karoserii samochodowych i inne. Spoiwa i stopy na bazie cyny, ołowiu i miedzi. Dynamically developing manufacturer of tin, lead and copper alloys. We produce solders, bearing alloys and antimony alloys. Our customers are key recipients of electrical, electronic, construction and so-called heavy industry, including rail and shipbuilding industries. Our bearing alloys are of the highest quality. We service a significant number of railway stock repair centers throughout Poland. Shipbuilding has also trusted us. We know everything about alloys for casting bearing shell. 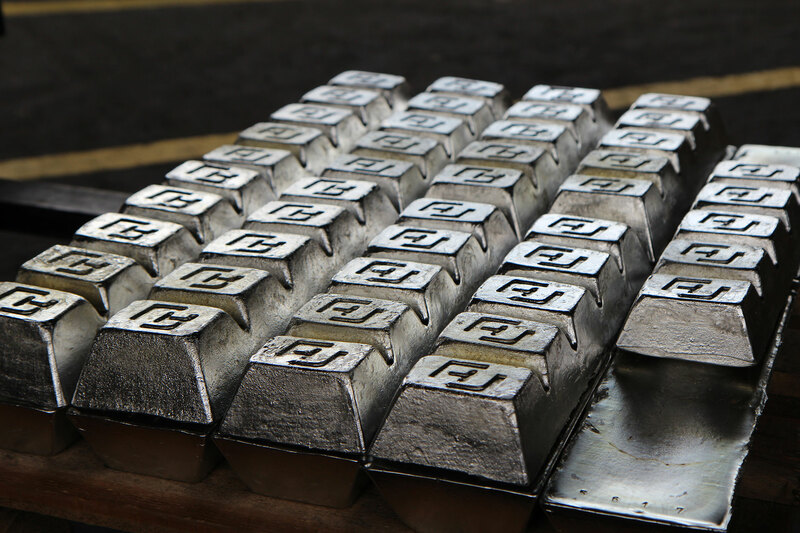 Our products, combined with professional consultancy, solved many problems of local foundries. 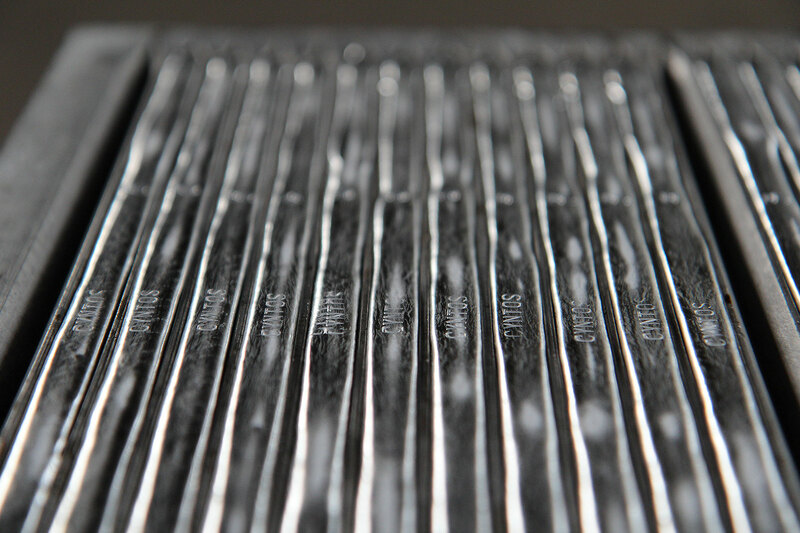 We produce all possible alloys based on tin, lead and copper in the form of solder rods. Our products are used in construction, interior and exterior installation, but also in electrical engineering and related industries. We will compose every possible alloy especially for you. 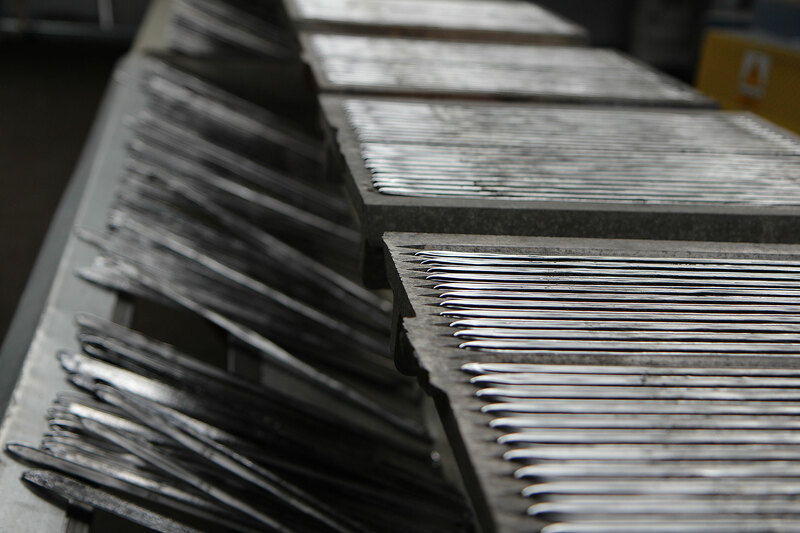 We produce all possible lead alloys with antimony, with the possible addition of tin and copper. They are characterized by high melting temperature with low melting point and high weather resistance. These alloys are used in the manufacture of batteries, airgun pellets and cable sheaths. We also produce "Pb Free" rod. The appropriate combination of tin with copper, silver, bismuth and indium, allows for the complete elimination of lead in the chemical composition. 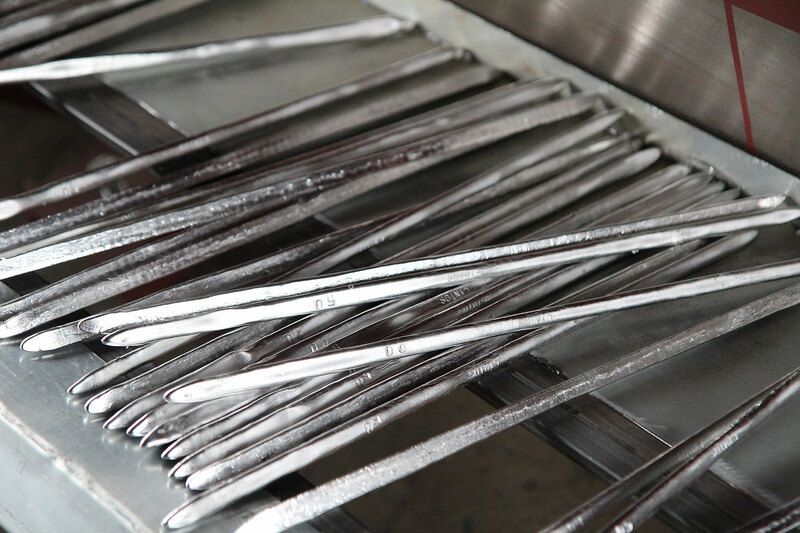 Our specialty is the car bodies tin plating rods Pb74Sn25Sb1. Alloy made with the utmost care according to German standards. 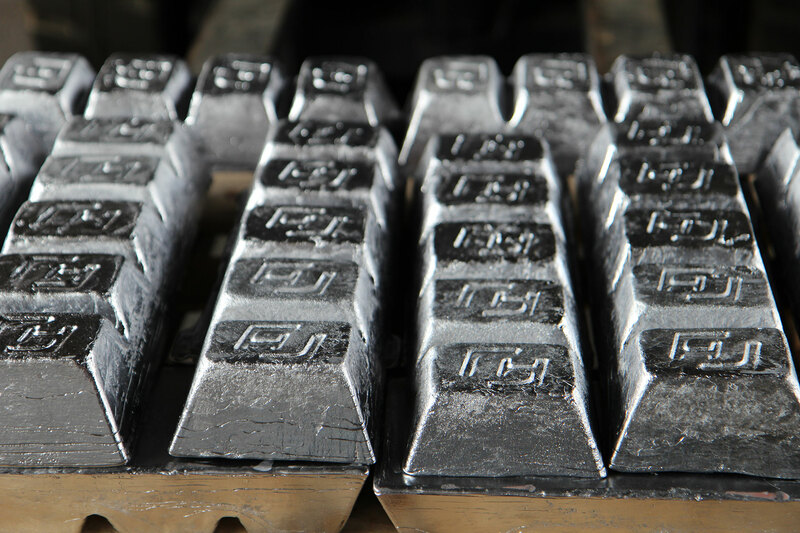 Unlike two-component tin-lead alloys, our product contains antimony, which increases material’s castability (easier to apply), but at the same time after congealment it cures the alloy to make it more durable. 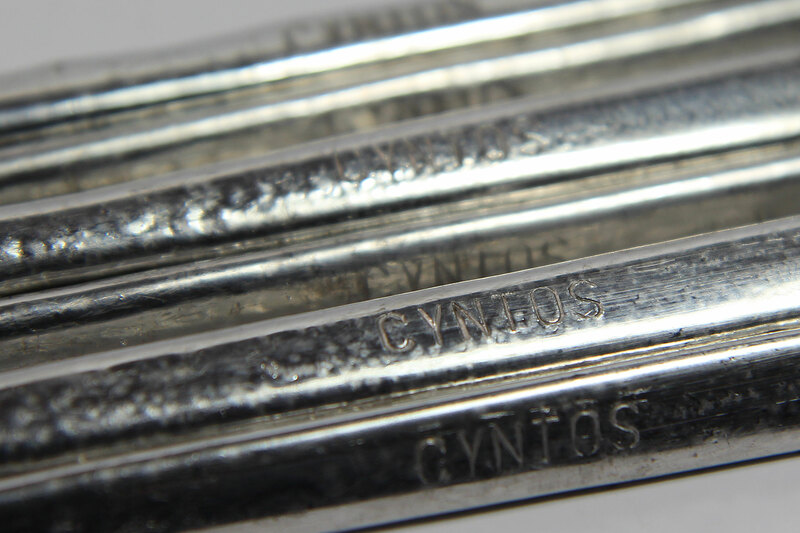 Especially for stained glass manufacturers we produce tin-lead rods with dimensions smaller than standard Sn60Pb40 rods, so that they fit in soldering tools. Find out more about us. Get to know our company from the inside. Check out what we can do for you. We will help you transition from lead technology to lead-free. 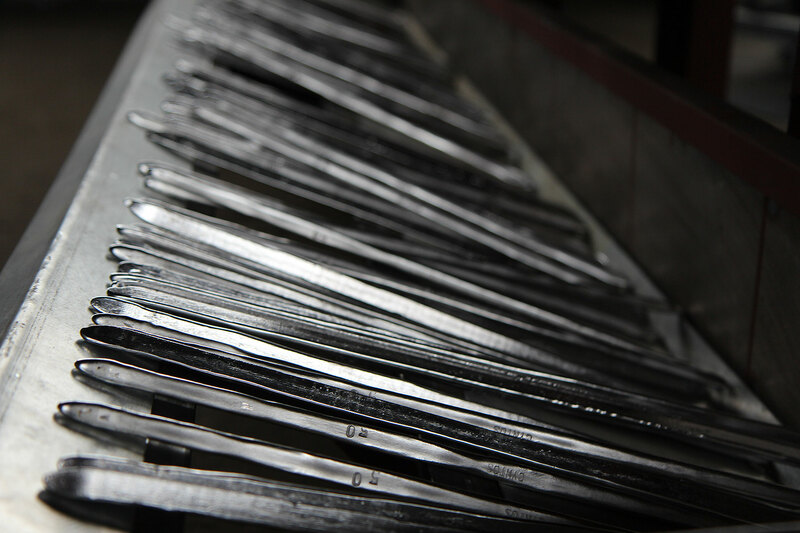 We will provide different variants of test alloys. Check out our current promotions on Allegro portal. Buy our products at bargain prices. We look forward to hearing from you. We will approach each case individually. We will respond to every inquiry. We produce all possible tin, lead and copper alloys including bearing alloys, antimony alloys (printing alloys), lead free (Pb Free) alloys. Every day the gates of our foundry leave the rods for the roofers, the car bodies tin, tin for stained glass, alloys for electronics and electrical engineering. Our services are used by the manufacturers of fishing and car weights, shotgun makers and manufacturers of electric cable covers. Our SnSb12Cu6Pb alloy successfully uses rolling stock repair centers. © 2017 - 2018 CYNTOS.PL - Wszystkie prawa zastrzeżone.